This project followed on from the success of other projects at the University of Melbourne as well as the acclaimed UTAS School of Architecture and Design project. 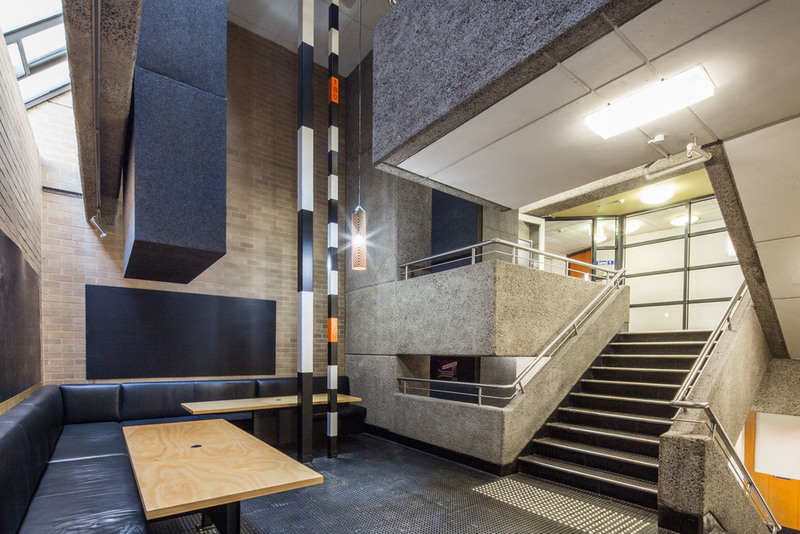 In late 2012, the University of Melbourne commissioned Six Degrees to design the Architecture School relocation in time for the demolition of the old School. Our understanding of how to transform an existing and complex building was integral to the project’s success. The project provides accommodation for approximately 120 staff and 1500 students respectively. This project involved the relocation of the Department of Architecture into 3 separate buildings, but primarily 757 Swanston Street, Carlton. 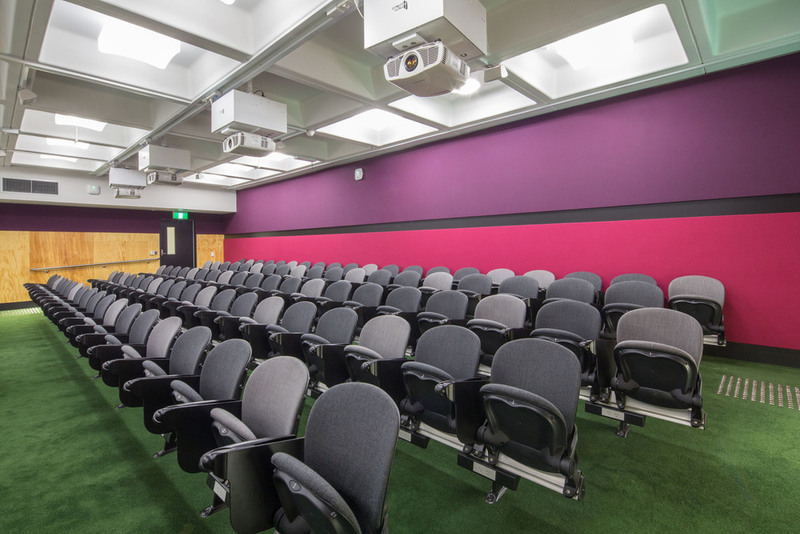 Its scope included a 620 seat lecture theatre upgrade, as well as new exhibition space, associated teaching, tutorial and research spaces.The Department’s objective was to keep students on campus, rather than have the collegiate culture dissipate with the destruction of the former architecture building. 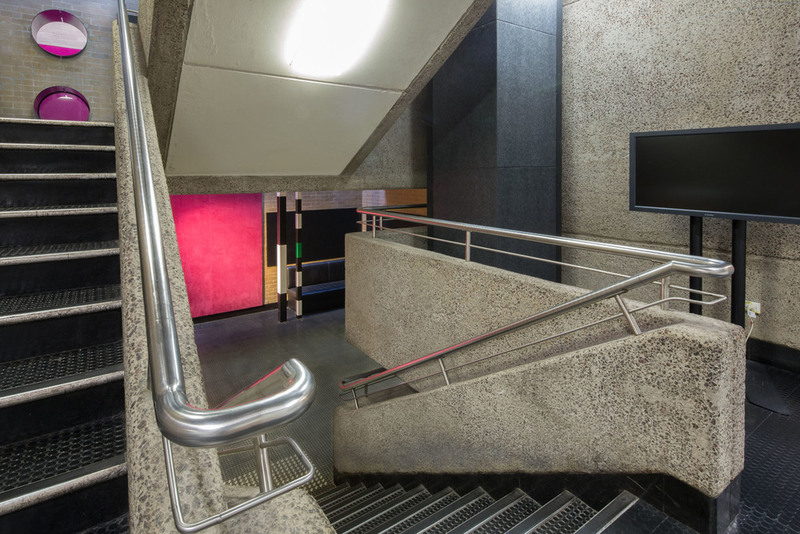 Our approach made the public spaces more usable and enjoyable for students, providing more informal seating spaces throughout – making the tough brutalist building a better place to occupy. As with all of our projects in the education sector, the timing of the project (for both design and construction) was very challenging, with very tight budgetary constraints.